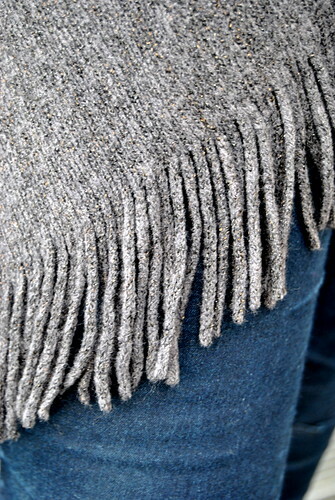 Grey fringes and dark denim in today’s sneak peek… Any guesses what this outfit can be ? Tomorrow you get to see lots of photos… why don’t you come back to see it then ? This entry was posted in Autumn, Fashion and tagged Fashion, outfit, outfit of the week, sneak peek.